HEIC to Replace JPG Eventually? HEIC to replace JPG? What you think? Do you think HEIC will replace JPG as a photo format? Give your valuable vote now! No. The MPEG group invented HEIC, technically speaking. 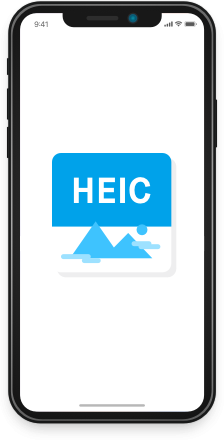 HEIC is a container that holds HEIF images or sequences of images. HEIF, or High Efficiency Image File Format, is the still-image version of the HVEC. The Moving Picture Experts Group (MPEG) developed the High Efficiency Video Compression (HEVC) technology. Why Apple prefers HEIC to JPG? Nowadays phones and computers are growing faster, and can process complex images instantly. Apple is a significant member of MPEG to promote HEIC photos. iPhone 7 and later models can capture 10-bit color info, but JPG can present only 8-bit color info. HEIC, able to present 16-bit color info, is an ideal replacement of JPG photos. What are the amazing parts of HEIC? HEIC can hold a single image as well as sequences of images. HEIC supports the color of transparency and 16-bit color, while JPG supports only 8-bit color. HEIC also supports animations and have the potential to replace GIF format in the future. Does HEIC face any challenges? Further promotion may be costly. The HVEC technology that supports HEIC is heavily patented by multiple influential parties. HEIC photos are currently supported by limited device models of Apple. There is a long way to go for the complete compatibility of HEIC photos among all mainstream devices, PCs, and services. Google is also promoting a modern image format, WEBP, which possesses all advantages of HEIC and is an open format. It is a strong contender of HEIC. As a time-honored format to store images, JPG is now giving way to HEIC in new-gen iPhone, iPad, and Mac. But it still represents the mainstream image format in Android devices, Windows PCs, cloud services, etc. Compared with JPG, HEIC surely stands out in image quality, smart size, and even the ability to display animations, but it faces uncertainty in promotion. Check the comparison details for HEIC and JPG below. It is a container of HEIF photos, adopted by Apple as a new photo format from iOS 11. Yes, this image format has the same name as its developer. It uses a lossy method to compress images. JPG (also called JPEG) is the most common format for image storage and transmission on the internet. HEIC is first introduced by MPEG in 2013, and then grows to maturity in 2015 for commercial use. JPG (formal name: JPEG) is issued in 1992, approved in September 1992 as a ITU-T standard, and in 1994 as a ISO/IEC standard. MPEG is a working group of authorities from ISO/IEC to set standards for compressing and transmitting audios, videos, and images. JPEG is a joint committee formed between ISO/IEC and ITU-T. This group developed all the specifications of the JPG image format. On your iPhone, you can store two HEIC photos in the space of storing one JPG photo. One JPG photo occupies the space of two HEIC photos of the same quality. HEIC is superior to JPG in quality due to higher compression technology. HEIC even supports sequences of images in one image file, making live photos possible. Using lossy compression, JPG entails loss of details in each image of such format. A JPG file contains only one image. A HEIC photo can present the details with smooth transition of different colors. Transparent background is possible in a HEIC photo. A JPG photo will present the transition of colors in layers, and replace the transparent part of an image with the white color. People may sometimes find a HEIC photo viewable on one device, but not on another. Now we shall explore the full secret of viewing HEIC photos: which device, PC, or service is HEIC-friendly? Google will make HEIC compatible in its Android P as alleged. Devices to run Android P can take HEIC photos like iPhone 7, but currently there is no Android P devices yet. Android O and earlier devices do not support the HEIC image format due to hardware limitations. Apple applies the HEIC on iOS 11 to replace JPG. Only iPhone 7 and later devices that run iOS 11 can take and display HEIC photos. The 6th generation iPad, iPad Pro, and 2nd generation iPad Pro are the iPad series that can take and display HEIC photos. iPod touch and other iPhone and iPad devices do not support the HEIC format due to hardware limitations. As declared by Windows, the Build 17123 and later will support HEIC as a common photo format. You can view the HEIC photos in the same way as JPG. Other Windows PCs cannot open HEIC photos directly. Your Mac can open a HEIC photo directly if you have upgraded it to MacOS High Sierra 10.13 or later. Other MacOS PC cannot open HEIC photos directly. You can sync HEIC photos from iPhone to iCloud, but cannot upload HEIC photos to icloud.com from PC. The 3 cloud backup services all support the HEIC format. That is, you can upload a HEIC to the cloud and view it directly. At present, the social media do not support the display of HEIC photos. But iPhone 7 or later will auto-convert the HEIC photos to JPG when you upload photos to such social media. Currently, no browsers support the display of HEIC photos. That is to say, you cannot open a HEIC photo in any browser. Despite the unique advantages of HEIC photos, the HEIC support is limited only to some high-end iOS and Mac models. Photo sharing, however, is an indispensable activity among friends. What if a HEIC photo is shared to a HEIC-unfriendly device or PC?
" I transferred my photos from iPhone X to Windows 7. But these photos that have .heic extensions cannot be opened. What's wrong?
" I just received some .heic files from my cousin. What are they? Why cannot I open them in my Samsung Galaxy?
" My boss shared me some heic photos about the meeting. He asked me to write the meeting minutes. Drat! I cannot view any one of them in My iPhone 4. Help! Just transfer HEIC photos to any Windows, Mac, Android, and older iPhones as you like. 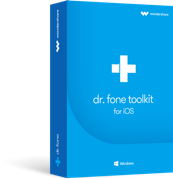 dr.fone will make the photos 100% viewable after the transfer. Transfers photos (and more data) from any iPhone to any Windows, Mac, iPhone, and Android. Auto-converts HEIC to JPG if the destination device or PC is HEIC-unfriendly. No special settings required on iPhone for HEIC-to-JPG conversion. Compatible with all the new iPhone 7, iPhone 8, and iPhone X series. Connect your iPhone to the computer. For phone to phone transfer, you need to connect another Android or iPhone to the computer. Open dr.fone - Transfer, and select the desired HEIC photos. Then, click "Export" > "Export to PC" or "Export to Device". If your Windows or Mac is HEIC-unfriendly, you obtain both HEIC and JPG files. If your iPhone or Android is HEIC-unfriendly, you obtain only JPG files. Cloud services like Onedrive, Dropbox, and Google Drive all support the display of HEIC photos. If you happen to have a HEIC photo on your old-version Android or Windows, you can upload it to one of these online backup services to view it. Open the app of the service, or access its website from a browser. Upload and then view the HEIC photo. Note: If your have no internet connection, this method cannot work at all. iPhone itself provides a solution to convert HEIC to JPG at photo transfer to PC. On your iPhone, go to Settings > Photos > Formats. Instead of “Keep Originals”, select the “Automatic” option. Note: You need to change iPhone settings before the HEIC photo transfer. This way does not take effect for HEIC photo transfer to Android or older iPhone. If you hate to see the complexity of HEIC conversion, you can prevent your iPhone from taking HEIC photos. Go to its Settings > Camera > Formats. Select the “Most Compatible” option instead of “High Efficiency”. Note: This way cannot convert existing HEIC photos to JPG, but can take new photos in a compatible (JPG) format. You can email to convert the attached HEIC pictures to JPG. Your iPhone 7 or later model will convert HEIC to JPG automatically when the email is sent. Add the HEIC photo as an attachment. Send the email to yourself, and open the attachment. Note: You need to ensure internet connection. Only a few HEIC photos can be converted to JPG this way. Your iPhone will convert HEIC to JPG automatically when you upload the HEIC pictures to OneDrive. Upload a HEIC photo and you will get a JPG photo. Note: Internet connection is a must in this case. For HEIC-to-JPG conversion of many photos, this way is not ideal. 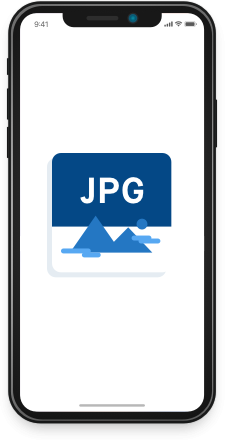 The iPhone 7 or later model will convert HEIC to JGP when you share your HEIC photos to Dropbox. Download these photos and they will all be JPG. Note: Ensure strong internet connection to use this way for HEIC-to-JPG conversion. Your iPhone has the ability to automatically convert HEIC to JPG if you share a HEIC photo on your Facebook. Select a HEIC photo from your library and add it in the post. You will get a JPG photo after it is uploaded. Note: Your friends online may see all of them. It is not an ideal way for HEIC-to-JPG conversion. Also, this way is inefficient when you have many HEIC photos. You can enable the iCloud sync on your iPhone. All HEIC photos will be synced to the iCloud server. Visit icloud.com from the browser. Select the HEIC photos you have synced and download them. The photos will be converted to JPG. Note: iCloud has a limited online storage. You cannot use this way when iCloud storage is full. This is a workaround measure to convert HEIC to JPG. Open a HEIC photo in your iPhone. Then take a screenshot at this moment. The screenshot will be of JPG format. Note: This workaround measure helps you obtain JPG photos, but is inefficient and compromises on the image quality. The following resources are collected from the internet, and the restriction reviews are the unverified opinions posted by internet users. iMazing HEIC Converter is the first free solution to convert pictures taken in the new HEIC format to compatible formats. This tool is compatible with older macOS versions. HEIC-to-JPG conversion may fail unexpectedly sometimes. You cannot fine-tune the photo quality. It is impossible to bulk convert HEIC photos in iPhone. TunesBro HEIC Converter is a one-stop solution to convert HEIC photos. It can convert HEIC to JPG as well as PNG. This tool supports the single and batch conversion modes. Joyoshare HEIC Converter supports HEIC conversion to JPG format, as well as to more formats, such as PNG, BMP, GIF, TIFF and WEBP. It allows you to drag and drop photos for HEIC-to-JPG conversion. FoneCope HEIC Converter allows you to convert HEIC images to common photo formats like JPG, JPEG, and PNG with several simple steps. Basic image fine-tuning features are provided. iMyfone HEIC Converter is an offline HEIC conversion tool that can specifically help iOS users convert their HEIC images to JPG by keeping the image quality. It offers 2 image conversion options: Convert Single Photo and Convert Photos in Batch. FonePaw iOS 11 HEIC Files Converter is a practical program to convert HEIC/HEIF images to JPG/PNG one by one or in batch mode. It provides options to set the quality of the output images. The following resources are collected from the internet, and the reviews are the unverified opinions posted by internet users. This is a small-sized website to convert HEIC files to JPG online. You can drag and drop the HEIC files to the middle of the page to start the format conversion. It supports the conversion of 50 HEIC images at a time, and has no option to adjust the image quality. Apowersoft Free HEIC Converter provides both website and desktop tools to convert HEIC to JPG. Enter "www.apowersoft.com" in the browser and you can open its website. HEIC photos you can convert at a time can add up to 30 pieces. This website converts HEIC (iOS 11 photo format) to JPG only. Before the HEIC conversion, you can set the quality of the output images by dragging the slider. The largest file size supported is 30 MB, which allows you to convert a maximum of 50 HEIC images at a time. This HEIC conversion website can change up to 50 HEIC photos to JPG in a drag-and-drop way. But the inconvenient part is no available options to adjust the image quality. You can also download the desktop program (paid and more features provided) for HEIC conversion. On this website, you can select a HEIC photo from computer or simply drag the HEIC photo to upload it. Besides HEIC photo conversion, it also provides features like resizing, cropping, etc. The output image formats include JPG, PNG, TIFF, BMP, etc. Lots of features make the interface complicated and users may easily lose focus. Ad displays tends to deteriorate user experience during HEIC conversion. This website can only convert one HEIC to JPG at a time, and the photo size cannot exceed 35 MB. After your HEIC photo is uploaded to its server, you can set the output image quality, size, orientation, etc. Some users, however, have reported that the uploading is slow, and the HEIC-to-JPG conversion may fail in some cases. This online tool can convert the HEIC photo format of iOS 11 to other photo formats, not just JPG and PNG but also other types like BMP, GIF, ICO. You can convert HEIC files with simple steps. The unfriendly part is that you have to pay for its batch HEIC conversion service. This website is easy to use and provides clean interface to help you convert HEIC to JPG. However, it is impossible to convert HEIC to other image formats than JPG, to drag and drop to upload the image, or to convert HEIC to JPG in batches. It is only useful when you happen to have only one HEIC photo and cannot open it on your PC. This website can help convert HEIC to JPG in the select-and-upload mode (drad and drop not supported). The largest HEIC image supported is only 2 MB. Although many plus features are provided to help convert HEIC to JPG and to other image formats, the interface language is Chinese. People that cannot read Chinese may have a steep learning curve ahead to master this online HEIC conversion tool. This website can do more than HEIC-to-JPG conversion. It can implement graphic file conversion between the formats BMP, EPS, GIF, HEIC, ICO, JPG, ODD, PNG, PS, PSD, TIFF, WebP, and PDF. Being in test mode, this website may fail to convert HEIC to JPG in some cases. The upper limit is 100 for file count and 100 MB for total file size in each HEIC conversion task. Security verified. 5,942,222 people have downloaded.